Mac OS is a Unix-based operating system, and as such, it’s less vulnerable to malware and viruses. But, what if I told you that your Mac laptop isn’t all that secure? Even if you are a proud user of Mac, it can still be exploited, albeit much harder than Windows counterpart. Still, your Mac needs a protection which you can get from antivirus software like MacKeeper. 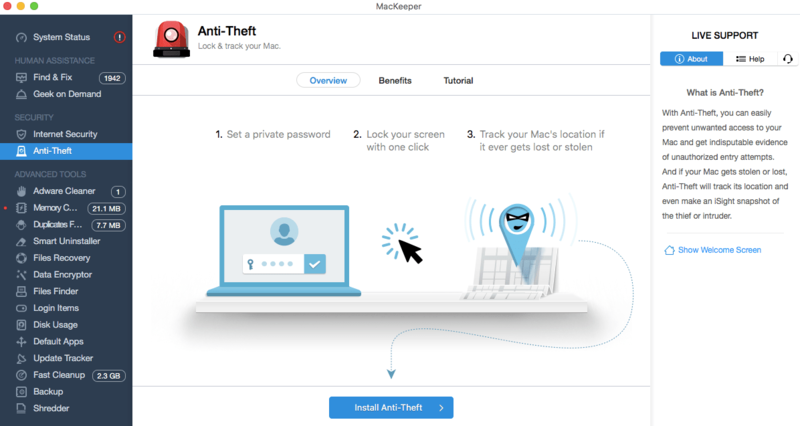 MacKeeper is a well-known antivirus software that’s been in this game for quite some time, so I decided to test it for you and give you a complete review of it. The review is below. Before we move on to features, I can’t help but notice how swift and responsive MacKeeper is. If you ask me, it’s maybe the strongest point of this software. The interface itself isn’t anything special, neither colorful. However, MacKeeper does a pretty good job when it comes to displaying info. When you check your partitions or System Scan, it uses various colors to show you the corresponding info about your system. Furthermore, the left side is reserved for all features, meaning that you won’t have to search everywhere to find what you want. Instead, MacKeeper keeps everything simple and at one place. For an easier navigation, the features are split into few categories: MY MacBook, Data Control, Security, Cleaning, Optimization, and Geek on Demand. Every category has several options which you can access via a single click. Upon choosing a feature, MacKeeper will display everything related to that feature in a stylish, comprehensive way. If you get lost on the way, you can check Apple certified support on the right side. Use your e-mail to contact them, or simply call them directly and get your problems solved. 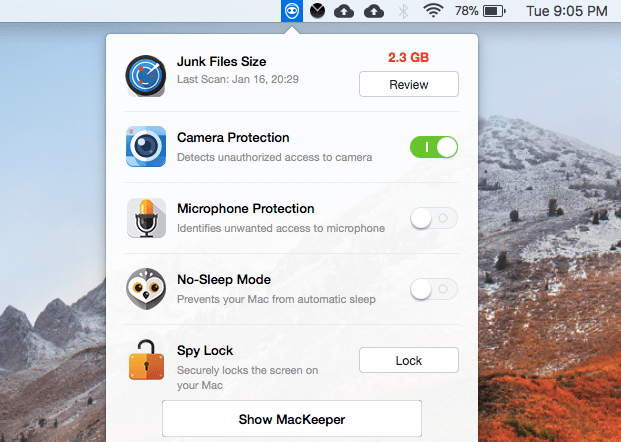 As its name says, MacKeeper isn’t strictly an antivirus software, but a software for optimizing and taking care of your Mac OS. The thing is that MacKeeper has some pretty cool options for your OS optimization. For example, I’ve often used Login Items and Default Apps to terminate some annoying apps that started once I boot up my PC. During the boot sequence, your PC often does something in the background, so you want to put an end to that. The option is under Optimization tab, so it’s easy to find and utilize. I once mentioned that MacKeeper does an amazing job when it comes to optimization, but also in protecting your Mac against viruses and malware. Many complain that MacKeeper isn’t reliable enough, and I must say that I agree to an extent. While its malware and virus scan didn’t yield fantastic results, the 80% of malware was found, so it’s still respectable. Sure, antivirus software like ESET, Avast and Kaspersky have much higher percent which is close to perfect and I’m sorry that MacKeeper can’t compete with them at the moment. Needless to say, MacKeeper is still a good option for cleaning your PC of the unwanted software. Speaking of cleaning, MacKeeper is here to clean all of the unnecessary apps for you. You can choose to do a Fast Cleanup, which scans your PC and deletes particular files. On top of that, under the Cleaning category, you can find Duplicates Finder and Wise Uninstaller. Duplicates Finder is here to check for duplicate files and delete them and Wise Uninstaller prompts you to uninstall the apps that you don’t or rarely use. The thing that I dislike here is the struggle to uninstall the app as MacKeeper bombards you with the questions like why are you uninstalling the app, etc. Really unnecessary stuff. Other than that, I’ve used all of the options above and they did the job pretty well. Anti-Theft Security is a feature that separates MacKeeper from the other antivirus software. This feature is here to help you locate the thief if your Mac laptop has been stolen, so you can easily track its location. If you’re unlucky and your device is stolen, the first thing to do is to log into your Kromtech account and report your laptop as stolen. When your Anti-Theft is activated, you can obtain the computer’s IP address, location, and iSight camera’s snapshots every five minutes, giving you a complete overview of the situation. A laptop’s camera is great when you want to make video calls, but did you know that someone can record you without your knowledge? I’m sure you don’t want to “talk” to unknown people on the internet, so you might as well use Camera Tracker which comes with this app. Camera Tracker constantly checks your camera in order to determine its usage. To put it simply, if the camera is being used by a particular app, the notification will appear at the taskbar giving you the option to Terminate it or Allow the usage. 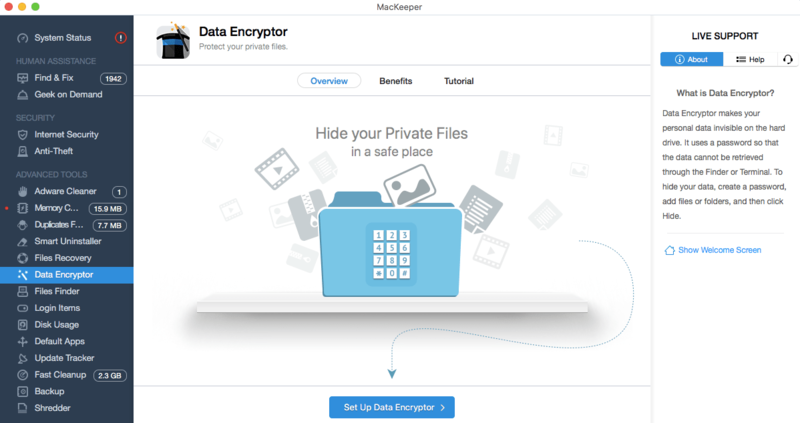 With this feature, MacKeeper raises above the other antivirus software in terms of security. Tons of options at disposal. ESET, Avast, and Kaspersky are still better options than MacKeeper. 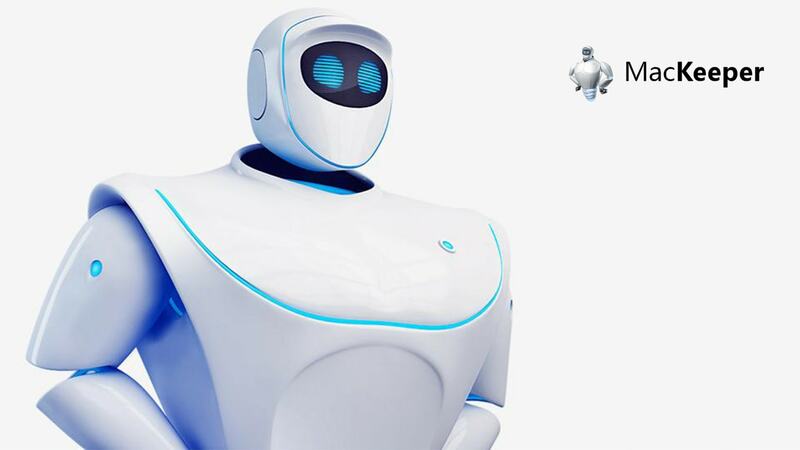 MacKeeper is a serious antivirus software which evolved over the years and became one of the most important Mac software. However, MacKeeper is held back by some odd limitations and slight performance issues that may drag away some of the potential users. As we said, its malware detection capabilities aren’t exquisite and uninstalling your less-needed files is sometimes a huge mess. Still, this is one of the main software for keeping your Mac safe and sound, so this shouldn’t represent a problem. For newbies, MacKeeper will be more than enough, being a software that’s easy to use and manipulate with and for an average user, MacKeeper might be the friendliest antivirus software to date. MacKeeper definitely worth a try, especially if your Mac is too old and there are a lot of junk files that needs cleaning. It also creates an extra layer of protection over your Mac PC.